1. 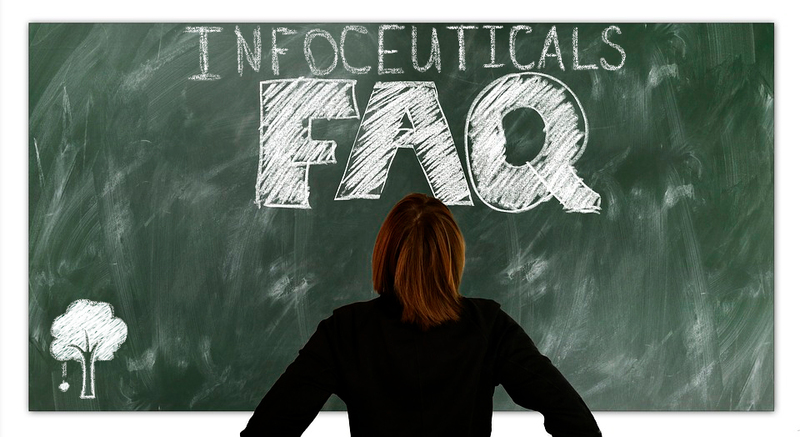 What are infoceuticals (ICs)? What is the connection between homeopathy and infoceuticals? Infoceuticals (ICs) are electromagnetic signals recorded from substances that have healing, therapeutic, or other biological effects. Simply put, ICs can be regarded as the evolution of homeopathy for the 21st century. Much like homeopathy, ICs work by stimulating the body’s own healing abilities. It is possible to transfer ICs to water and then by consuming this water, deliver the information to the body to promote self-healing. 2. Should I substitute my medication with infoceuticals? No. If you currently use any medication, do not replace them with infoceuticals. Infoceuticals should only be used to complement your treatment. If and when you will need to change your medication dosage, contact the practitioner who prescribed the medication to you and they will make the necessary adjustments. 3. How much IC water should I drink? Is there a dose effect? It does not matter whether you drink 250 mL of IC water or 1 L - one glass of IC water contains the same amount of information as two glasses of water with the same IC. What is important is to drink IC water 2-3 times a day. This is because we need to periodically supply and influence the body with infoceuticals in order to cause an informational effect on the body. 4. How should I store the prepared IC water? IC water should be stored at room temperature, away from direct sunlight, and at least one meter away from electrical devices. 5. Are there any side effects to infoceuticals? There have been no reports of negative effects from infoceuticals. If an infoceutical is not right for you, it will not resonate with your body and thus will not affect you. Some people may notice mild body pain during the first few days of using infoceuticals, which is normal and practitioners interpret this as the start of the body’s healing process using the newly acquired information. If you have any concerns, please contact your practitioner. 6. Can children drink IC water? Children may drink IC water under parental supervision. If your child is taking any medication, do not substitute their medication with infoceuticals - IC water should be used to complement their current treatment. 7. Can I give IC water to my pet? You may give your pet IC water to drink. However, if your pet is taking any medication, do not substitute their medication with infoceuticals. 8. How many infoceuticals can I use for my personal complex? How many ICs can I store in a bottle? Is it possible to use multiple bottles together? The number of infoceuticals that can be used for each personal complex depends on the person’s health and energy state. However, we recommend not to put more than 5 or 6 infoceuticals per personal complex to ensure that the body can process the provided information. You can transfer up to 6 ICs or one IC Complex per bottle. You may prepare a few bottles with different ICs or IC Complexes. You can use each bottle, one after the other, 2-3 times a day or as recommended by your practitioner. Thank you and Stay Healthy! Luc Montagnier's experiments on EM imprinted DNA solutions were successfully repeated. In this study, the authors examined a few key factors affecting DNA transduction rate. Dr. Fritz Albert Popp once stated that “we know today that man, essentially, is a being of light.” This is currently being proven by the modern science of photobiology. With respect to healing, the implications are great. Technologies based on non-linear parametric resonance of N. Tesla (demonstrations from a series of unexplained phenomena - “physicists are joking”).